Why Struggle Carrying Your Cargo? Click & Carry Makes It a Snap! 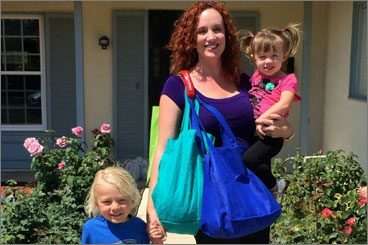 With Click & Carry, you can gather and carry multiple bags at once — COMFORTABLY! You can hold Click & Carry in your hand, or you can wear it over your shoulder to be hands-free. 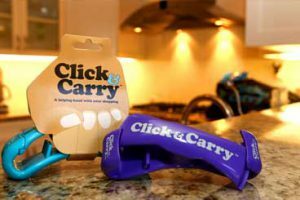 Whether you’re dragging in your weekly groceries, bringing in 8 gallons of paint or hauling your ski boots to the mountain, you will love Click & Carry. 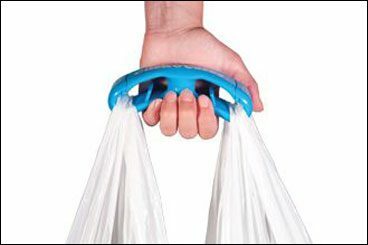 Click & Carry's patented design allows for equal weight distribution of bags. Its comfortable gel padding makes it easy to rest on your shoulders or in your hand. 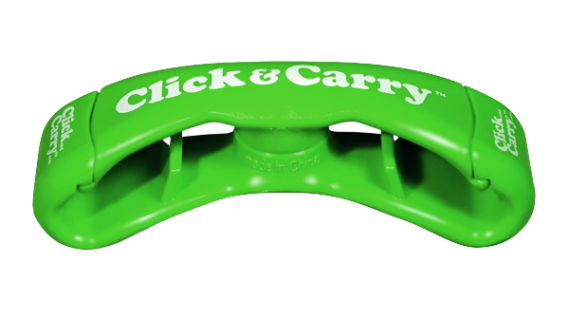 Clip Click & Carry handles to your reusable shopping bags, carry in your handbag or backpack, or keep them in your trunk. Weighing in at approximately 3 ounces, they're lightweight and small. Make one quick trip instead of 3 long ones! Clip your bags together, throw the handle over your shoulder and you're on your way upstairs or across the courtyard. Each Click & Carry is divided in the center with a twisting column. There are two identical side cavities to hold your bags or cargo. 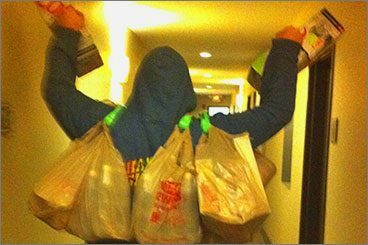 I love only taking one trip in the house after shopping. Today was the ultimate test. 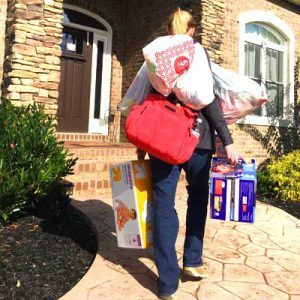 I carried a diaper bag, 2 boxes of diapers, and over $100 of merchandise in the house at one time! Thanks Click & Carry for making it so much easier. This would have easily been 2 or 3 trips without the Click & Carry helpers…and none of my eggs were cracked! 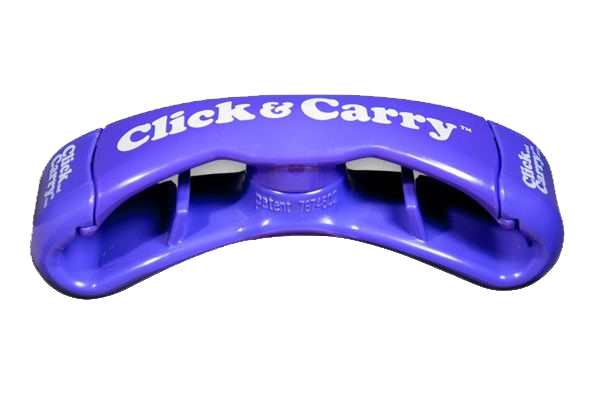 We gave out our first set of Click and Carry handles yesterday. 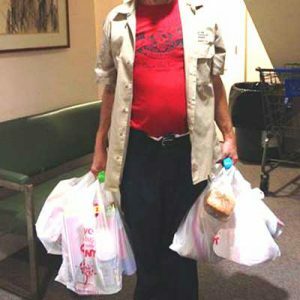 We gave our homeless client the choice of getting food in a gently used backpack or using the handles and he chose the handles. He was really happy to get them. We were able to give him about a third more food to carry. I just wanted to write you guys and tell you how thankful we are for your product. 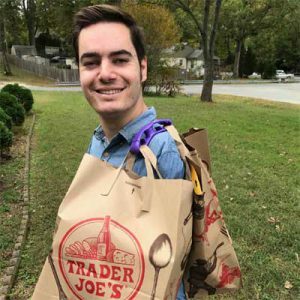 My husband was born without arms, and this has been a game changer for him. He can now help with the paper bagged groceries etc. There’s a lot he can do already, but this has been super helpful! Thanks so much!